We can help you make your dreams come true with high quality institutions, which means excellent certified teachers, beautiful and comfortable facilities, high quality programs in secure and cosmopolitan places all around the world!!! 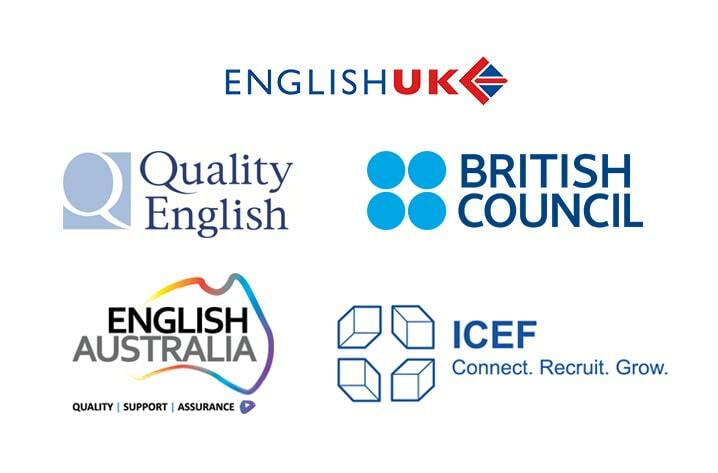 We are proud to tell you that all our schools are accredited by awarding bodies such as British Council, English UK, Quality English, AACRAO, AAIEP, ALTO, NAFSA, ACCET, Languages Canada, AIRC, TESOL, AIEA, NEAS Australia, English Australia, IALC, Australia Future Unlimited among others, this is guarantee of learning quality, security and total satisfaction. Ask our team for the best academic institution in the country you chose according to your expectations!! !